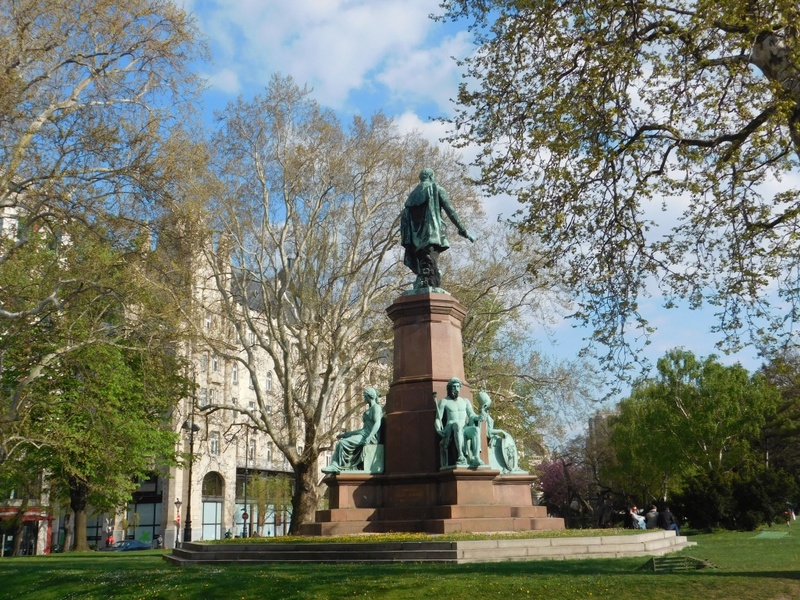 Having one day in Vienna was great enough, we satisfied exploring this city and now we would move to Budapest to find another great adventure. At 7 in the morning, we were rushing to the train station to get our morning train to Budapest. 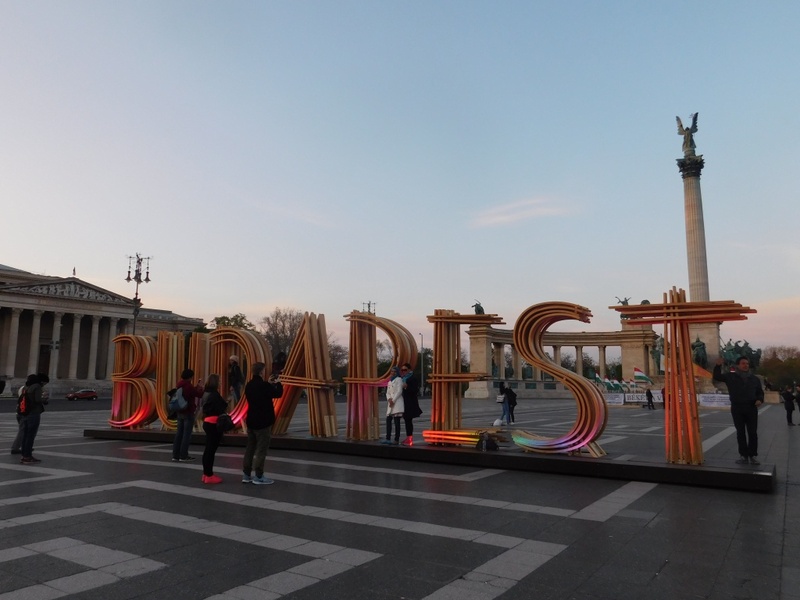 Budapest itself was the capital city of Hungary and was divided into two sides, “Buda” in the west side and “Pest” in the east side, both was bisected by Danube river and connected by the chain bridge which built in the 19th century. 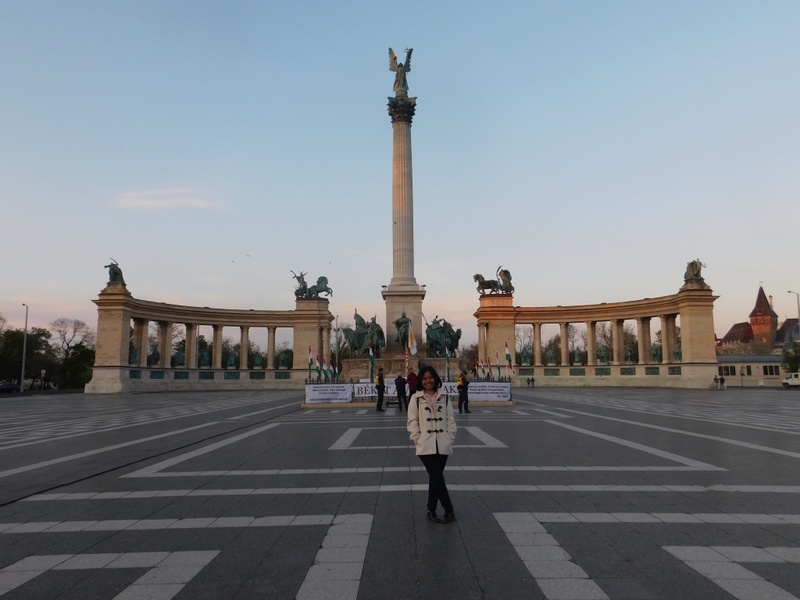 I was very exciting imagined how beautiful Budapest to be explored. After 2 hours in the train, we safely arrived in Budapest-Keleti station. Guess what happened? hmm…all my expectation was ruined by the view of the station, we were like in the middle of nowhere. Maybe this was not a main station, just for arrival, there were only outdoor peron, no locket or ticket office. We had no idea, we just follow people to go outside the station. There were so many ravens when we walked to go outside and even I almost stepped a died raven (oh my god). After no longer walked, we should step up the high old-rusty-ladder while carried a heavy luggage to cross the railway (It was so tiring, really). After finally went outside the station, we only saw a forgotten and ruined building, we had no idea, we only followed people from the station until we saw the main road. Unfortunately, we only had euros and pouns, we didn’t have any local currency, we thought we could change the money in the train station before, but the reality we couln’t. So, we used our GPS to search any public area to see a money changer, then we walk to the near bus station. After found the money changer and got some money in local currency, we bought all-day ticket to be used in the local transportation, all day. Afterwards, we went to our hotel with bus. Our hotel located in the main city which had different view like I saw before, it was like a common view of the cities in Europe. When we arrived, the room was being cleaned, so we just stored our luggage then went for a lunch and back again for checked in. Our hotel (Opera Mini Hotel), was so good, though it was looked creepy from outside and hard to seek, but the bellboy, Danny was so kind and cute, the room also was clean and comfort enough. We had a lunch near our hotel, we ate a delicious fried catfish in tar tar sauce and with rice, I called it “Pecel Lele in Western Style”. The taste was good, if pecel lele used chilli pasta and lalapan (raw vegetables), it used tartar sauce and salad. 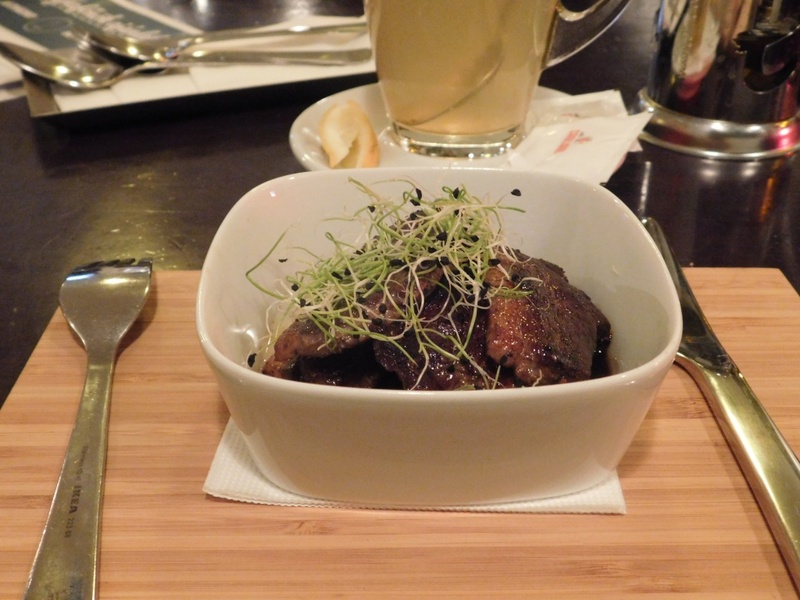 Budapest also rich in culinary, so many kind of food to be tasted. 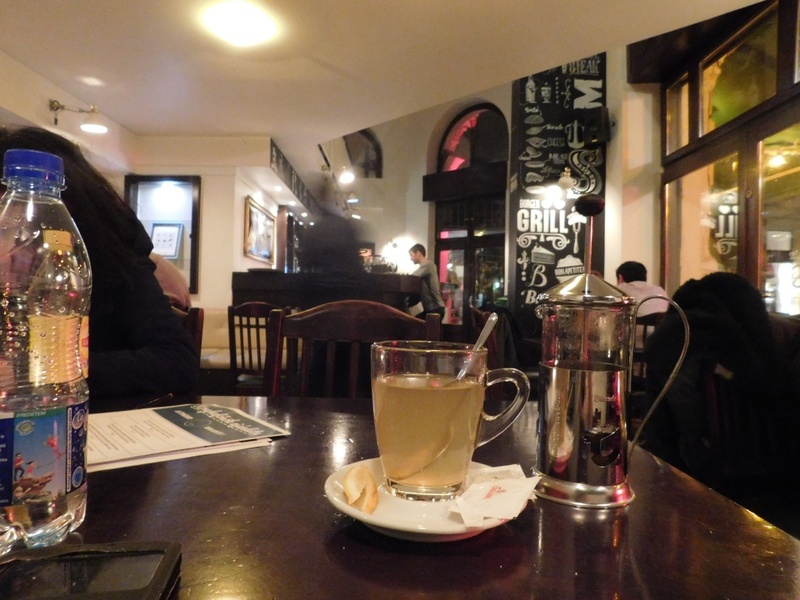 After had delicious lunch, we went back to our hotel for checked in, then we went again to explore Budapest. The first destination was Opera house, the location was near the hotel, only 5 minutes walk. 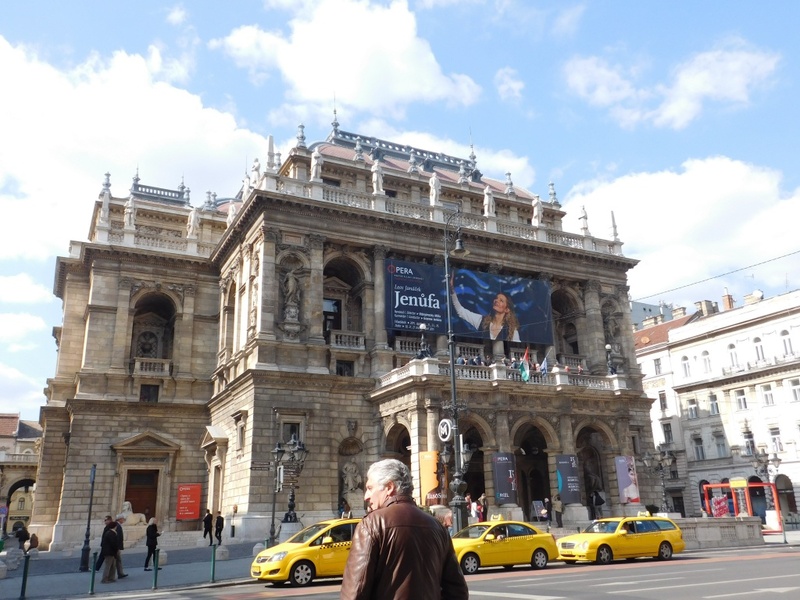 This building was the largest opera house in Hungary, built in Neo Renaissance style designed by Miklos, a famous architect in 19th century. 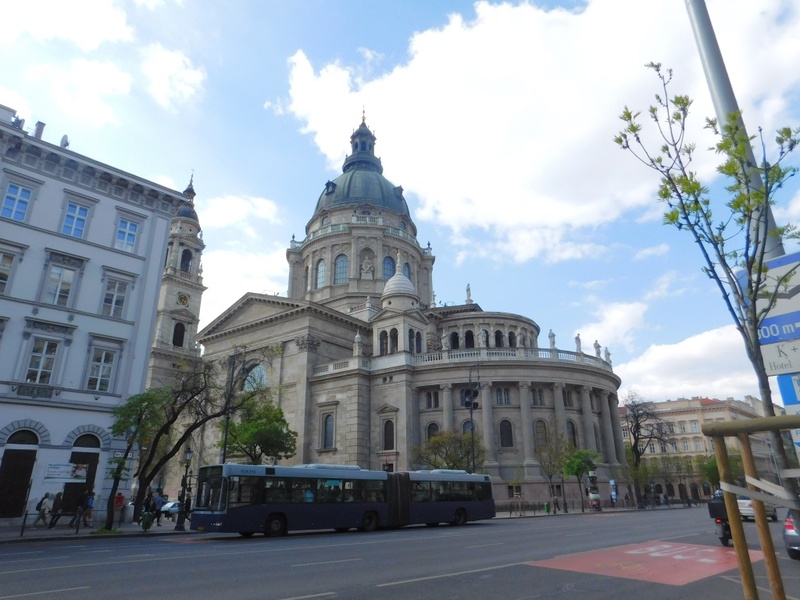 We didn’t enter the building, just took some photos there, then walked to the second destination, St.Stephen’s Basilica. 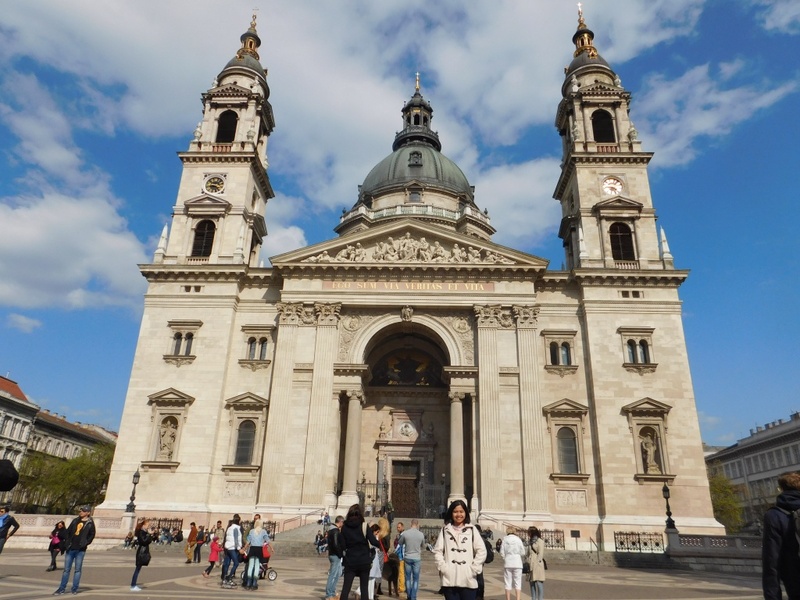 St.Stephen’s Basilica was one of the most grandiose church in Hungary. 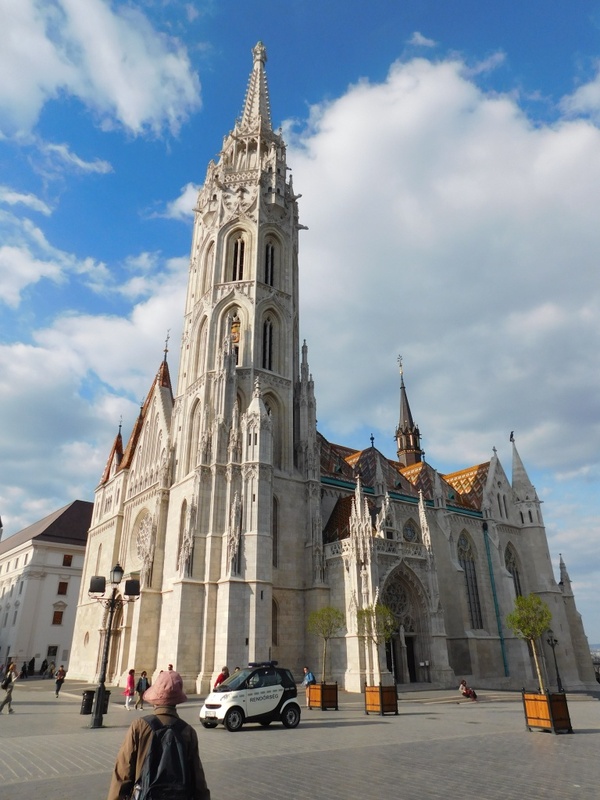 It was a Roman Catholic basilica and was named in honour of King Stephen, the first king of Hungary. This church holded the mummified right hand of King Stephen which was said to perform miracles (Trip Advisor & Travel Guide-Booking.com). 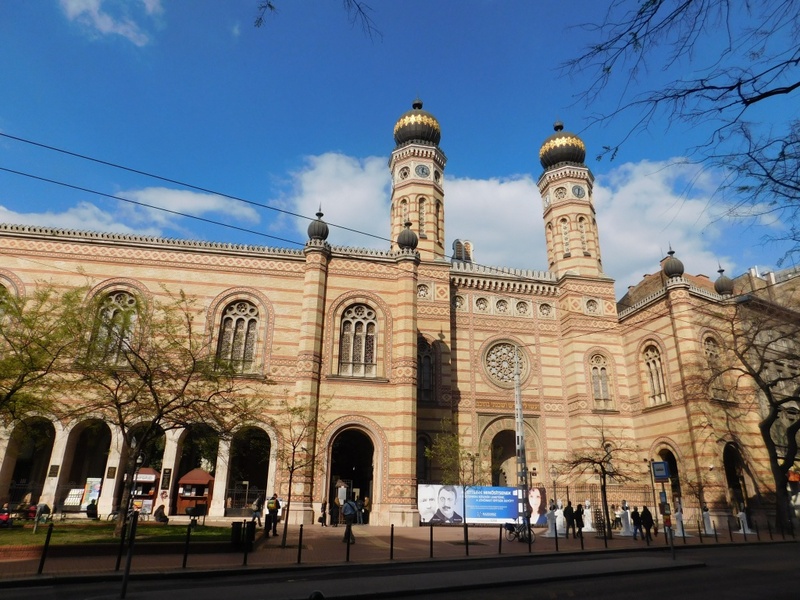 Our third destination was Dohany Street Synagogue, an iconic jewish suffrage. 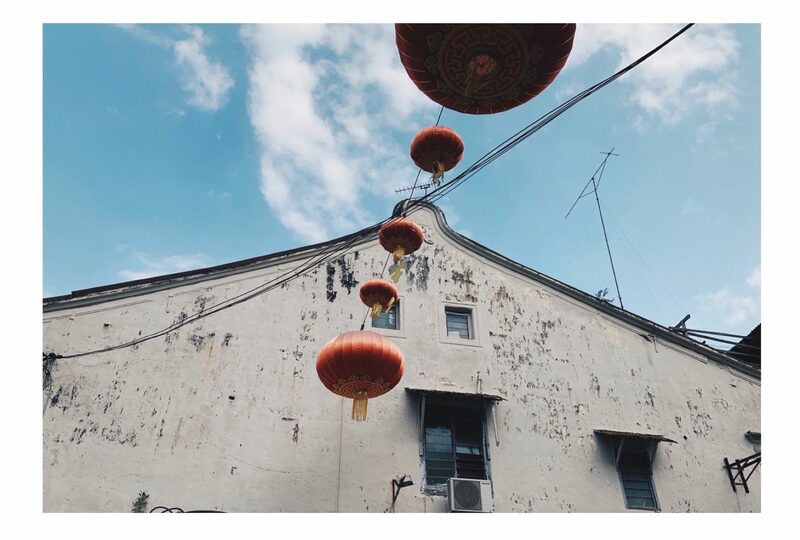 It was built in the mid-19th century and after falling into disrepair during communist rule, actor Tony Curtis and make-up magnate Estee Lauder bandied the funds to restore it to its former glory (Travel guide-Booking.com). 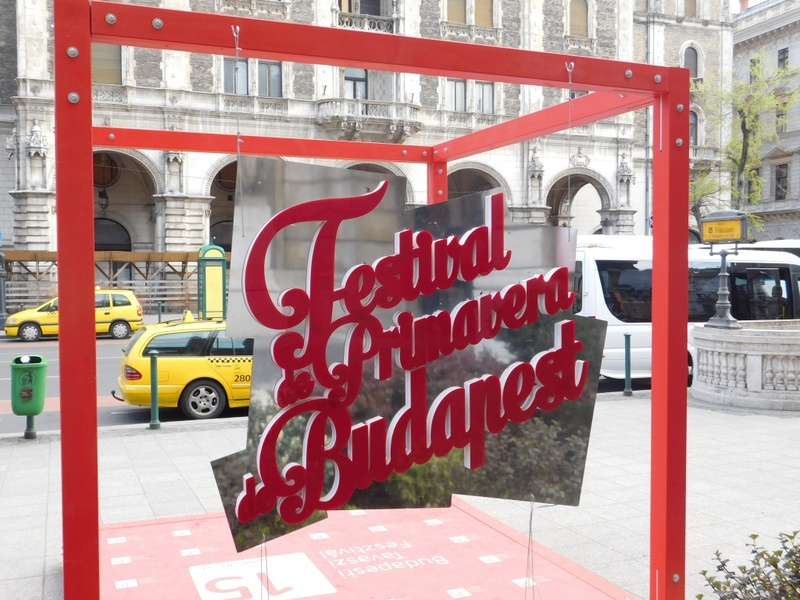 We thought it was enough for exploring Pest side, we would move to Buda side by acrossing the Chain Bridge, a connecting bridge of Buda (West side) and the Pest (East side). 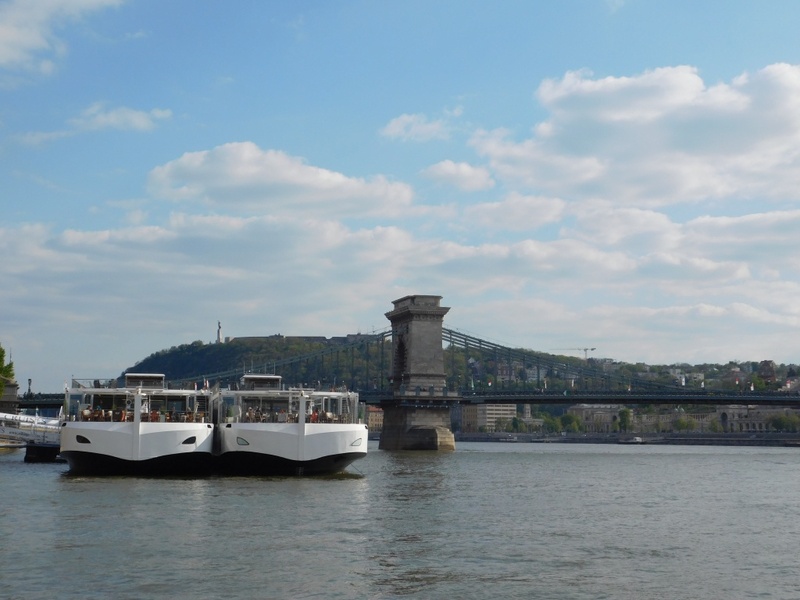 This bridge was built when a Hungarian aristocrat missed his father’s funeral due to freezing weather, then vowed to build a bridge across the Danube River (Travel guide-Booking.com). Near this bridge, you also could see some green area and park. 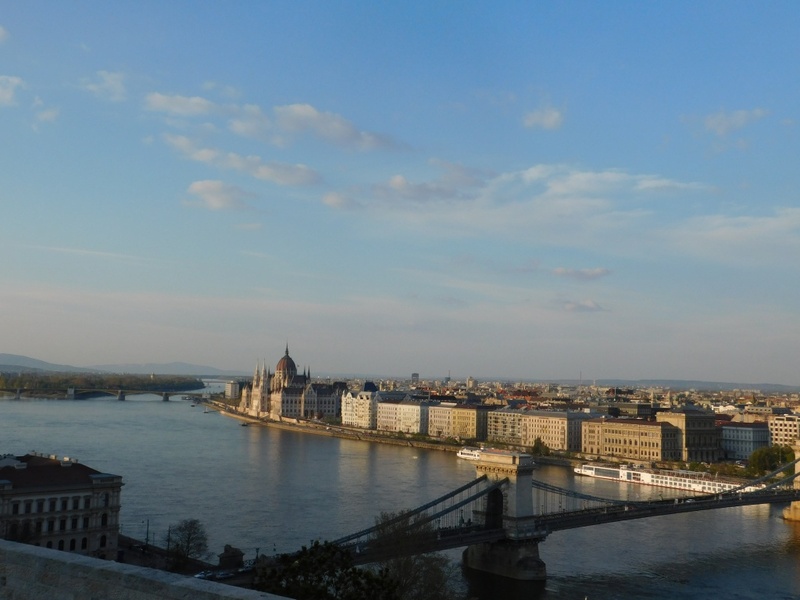 After accrosing the Chain Bridge by the bus, we went to Fisherman Bastion, a large-scale observation deck with unparalleled views of Pest side framed by the Danube River that you could see it in many postcards. 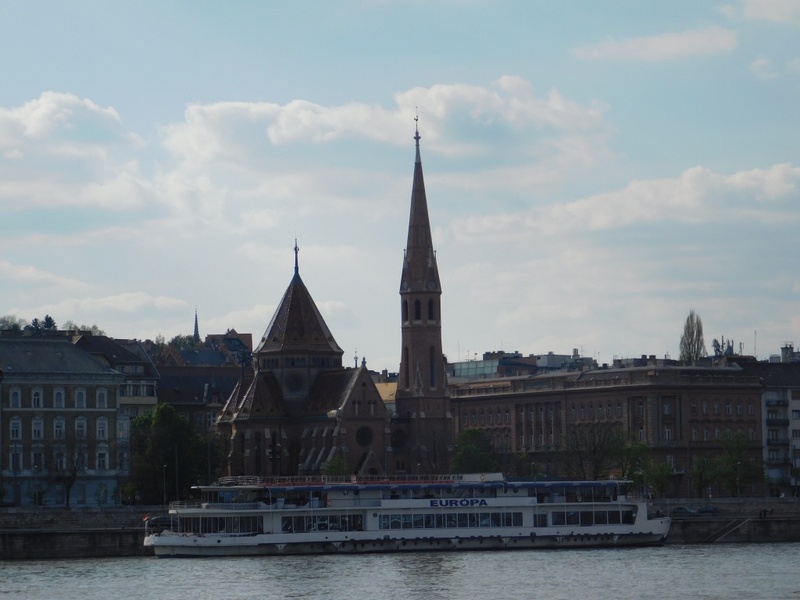 Near Fisherman Bastion, there was Matthias Church, a Roman Catholic church and it was the second largest church of Buda. 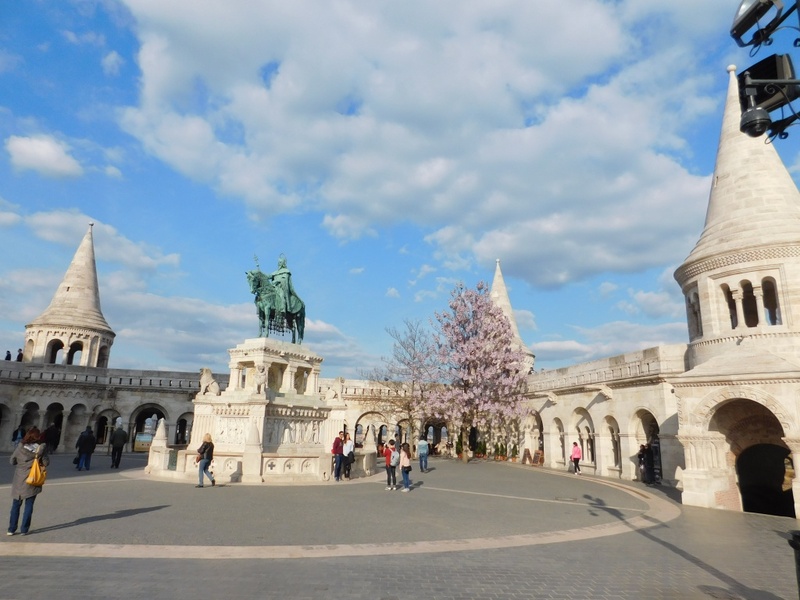 Between Matthias Church and Fisherman Bastion, there was a statue of King Stephen on a horse. 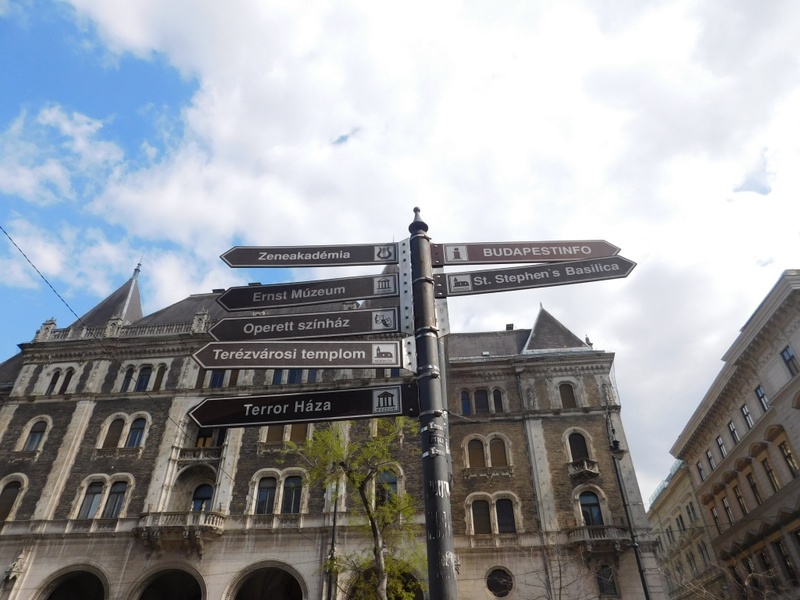 Not far from Bastion and Matthias Church, we moved to Buda Castle. 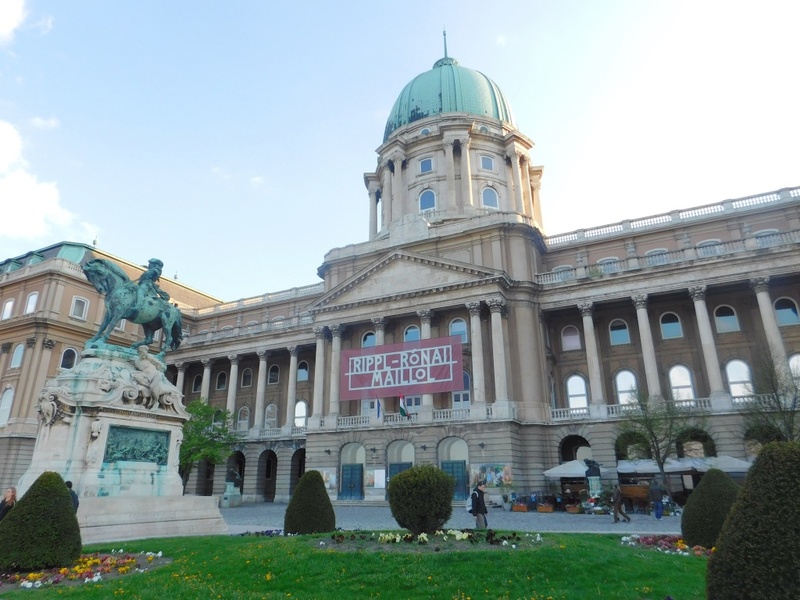 This building was the palace of the Hungarian kings and was the Budapest World Heritage Site. 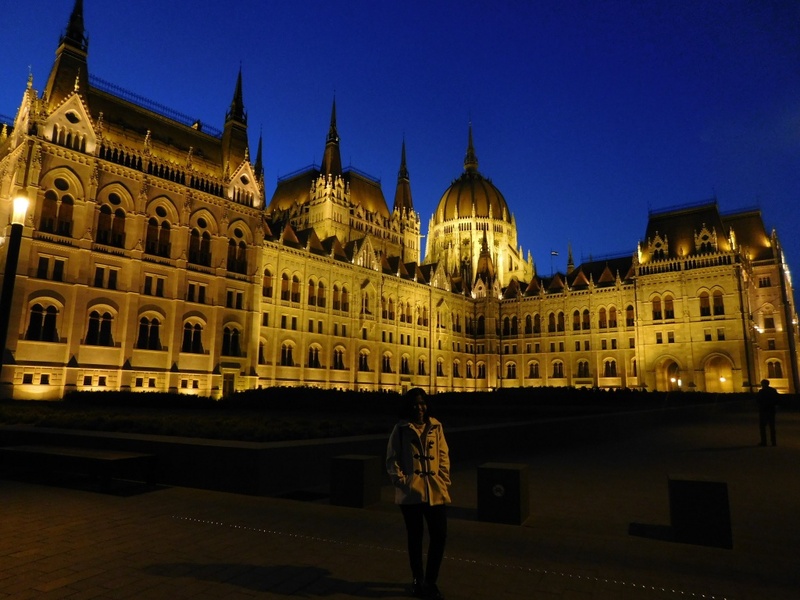 From this castle we also could see a panoramic view of Danube River and Parliament Building in the Pest to the east. We spent our evening in Buda hill and it was so breath-taking and eyegasm, so amazing experience that you couldn’t erase it from your mind forever. I coudn’t move to another place, I love Buda hill so much, but there were another places waiting us. Satisfied with the view of Buda hill, we were back to the Pest then. There still some places to be visited. After back again in the Pest, we moved to Heroes’ Square, the statues of chieftains, kings and lionhearts once presided over political demonstrations and displays of communist might. 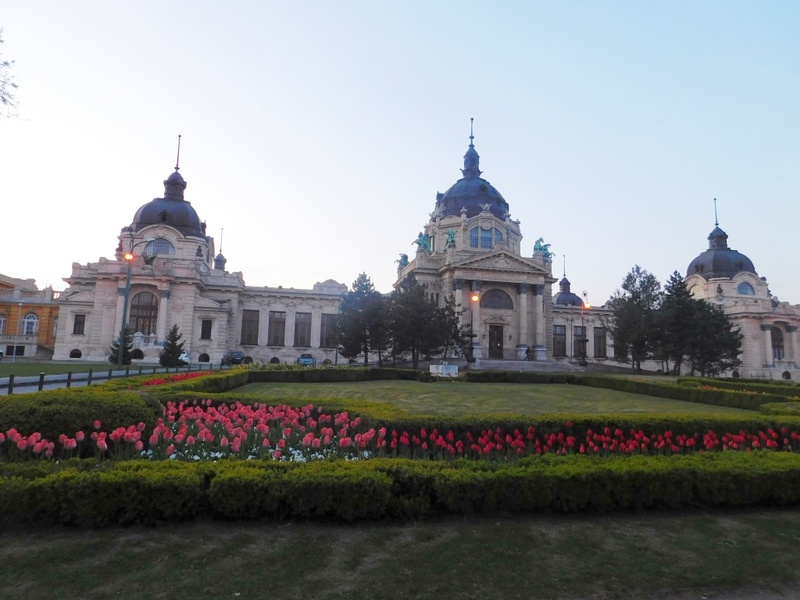 Our next destination was Szechenyi Thermal Baths, an Europe’s largest public baths. Unfortunately, we just visited there, not took bath there, because we only had a little time to explore more places. 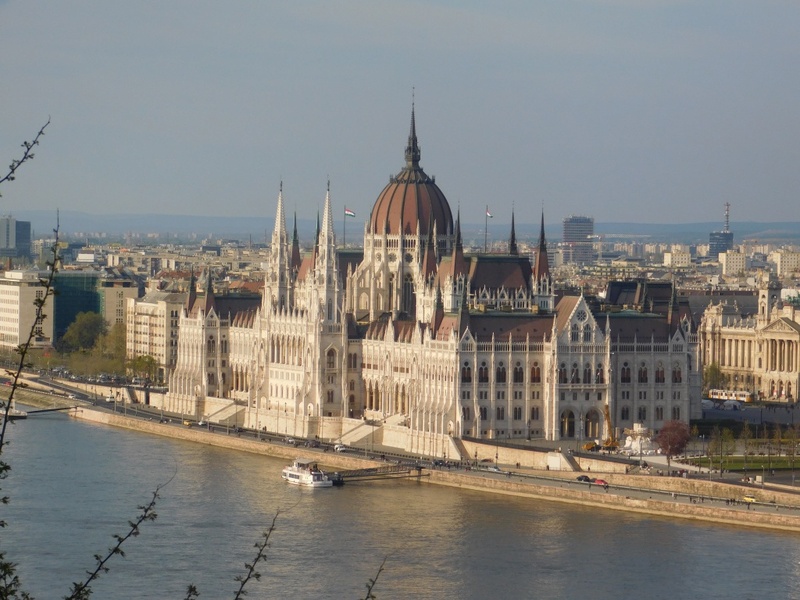 After took some photos in Szechenyi Thermal Baths, we moved to our last destination, the famous and iconic landmark of Budapest, Hungarian Parliament Building. 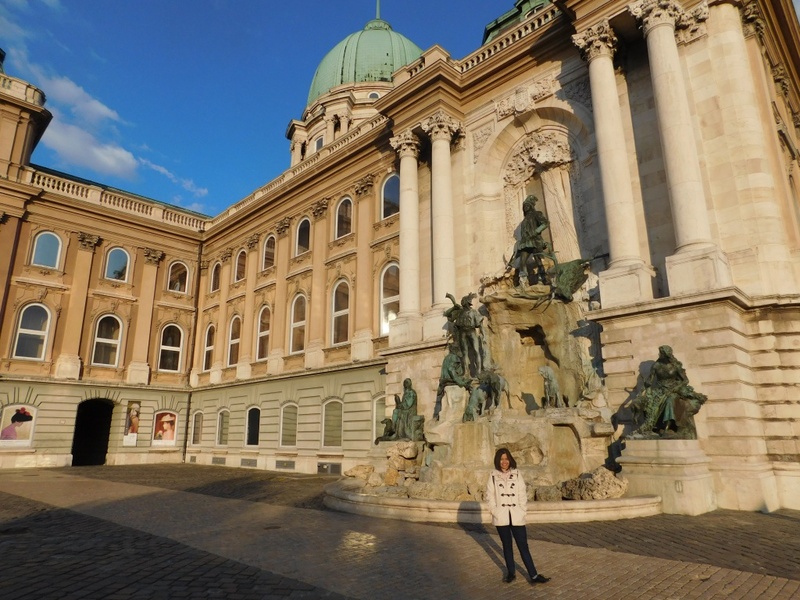 This building was the Europe’s oldest legislative buiding and also the seat of the national assembly of Hungary. The architect of this building was Imre Steindl who also designed the famous London’s Houses of Parliament. The view of this building was amazing in the night, lightened with the shimmery and glamorous lights. 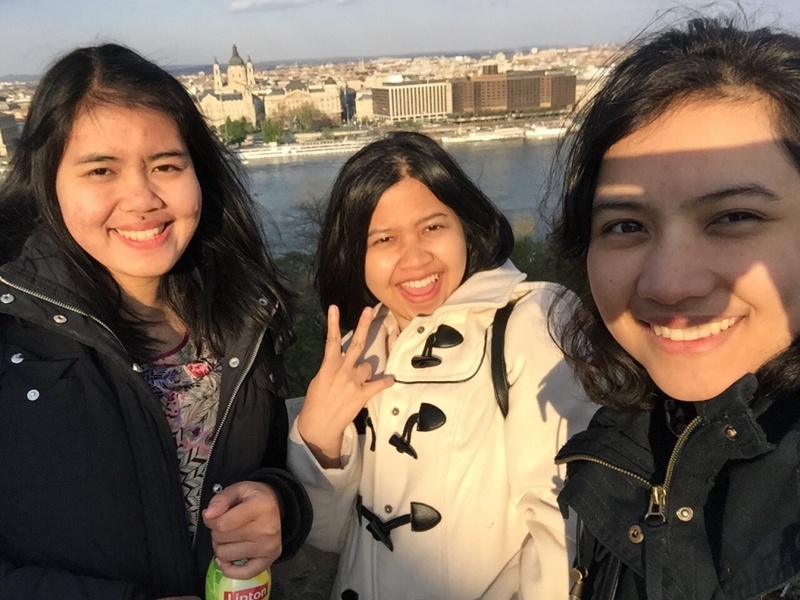 Exploring Budapest in one day was quite tiring and made us hungry, then we craved for dinner and back to the hotel for a rest, because tomorrow we’ll continued our journey to Prague. 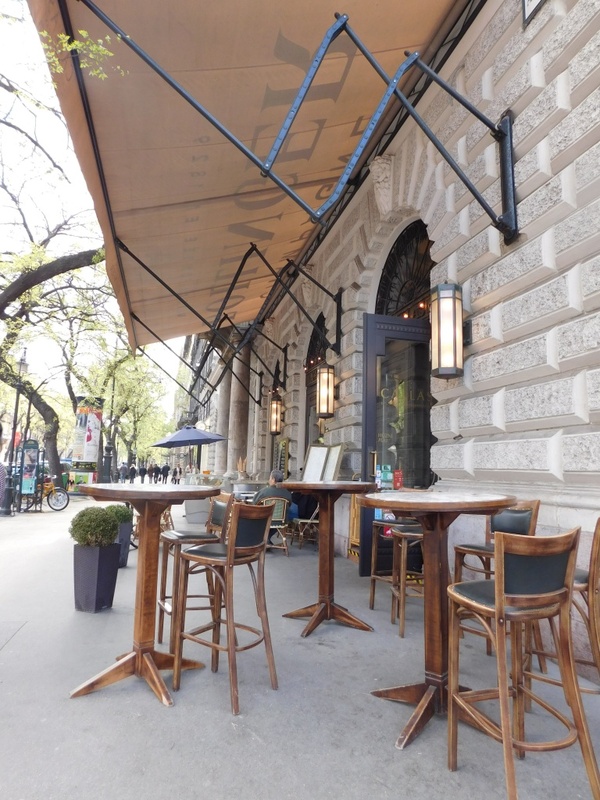 One more thing about Budapest, another reason why I loved Budapest so much was the rate of this country, cheaper than another European country, especially with the price of the food. So we ate well then, even when we will leave Budapest, we spent all of our penny to bought some pastries, milk and yoghurt for breakfast.